Make a free test drive on location of your own choice! Please contact us for an appointment. 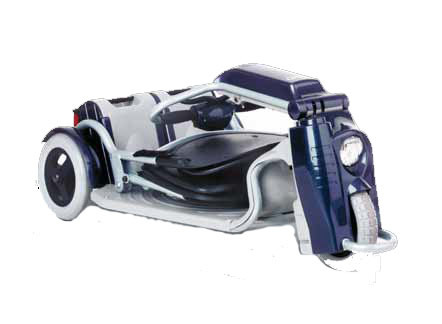 The world’s first folding scooter. The Caddy allows for compact storage at home, transport in the trunk of the family car or on a plane. Featuring a strong light weight aluminum chassis and easy frontwheel drive, the vehicle provides maximum maneuverability and durability. 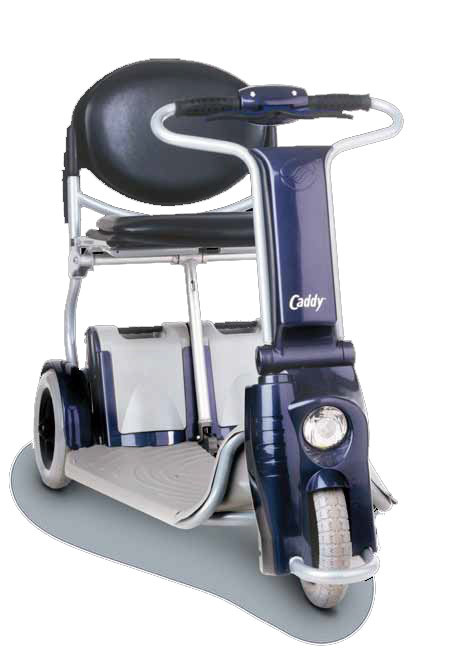 It takes just a few seconds to fold or open the Caddy which makes it the ideal scooter for trips abroad.